However, as markets and customer buying behaviors continue to change, sales departments that aren’t armed with sufficient analytics and technology capabilities won’t be able to keep pace. And a decisive majority of companies—approximately 70 percent—are in this predicament, according to a Harvard Business Review Analytic Services study. 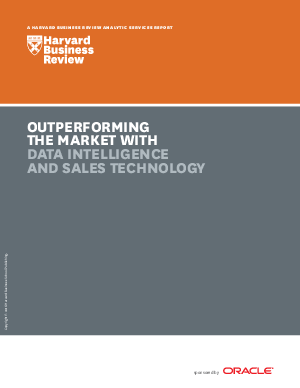 Download this Harvard Business Review report now to find out more.